Functional Performance Siping. More winter grip, better steering feel. Each tread block and sipe in the stylish tread pattern has a precise shape and role, and this can be felt in the excellent grip and handling properties. The stiff outer shoulder, the Centipede Siping in the centre area and the zone-optimised siping all form a controlled combination that allows the Nokian WR A4 to roll safely and comfortably in varying Central European winter weather. Centipede Siping. Maximum snow grip, precise handling. The centre area is dominated by a sturdy longitudinal rib consisting of tread blocks with jagged sipes that resemble the footprints of a centipede. The staggered 3-dimensional Centipede Siping offers maximum contact surface and works with full effect at different turning angles, increasing grip on snow and slush and improving control. Performance Traction Silica rubber compound. Precise grip, excellent wear resistance, low fuel consumption. The rubber compound, which contains natural rubber, silica and canola oil, ensures excellent winter grip. This state-of-the-art compound innovation also improves driving stability and wear resistance. Canola oil provides tear strength. Tear strength makes the tyre extremely resistant to wear, impacts and punctures. The large amounts of natural rubber and rapeseed oil ensure that the excellent winter grip properties remain the same even as temperatures change and the kilometres add up. Extremely low rolling resistance results in low fuel consumption. Groove Lifts. Excellent handling. The tread blocks on the tyre shoulders are supported by steep groove lifts that increase stiffness and improve handling. Snow Claws. Strong snow grip. Snow Claws were shaped on the longitudinal grooves of the tread blocks to provide much-needed grip on winter roads. Snow Claws grip the surface relentlessly on soft snow and in soft terrain. 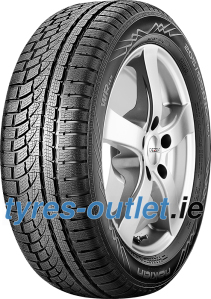 Nokian Tyres Coanda Technology. Effective aquaplaning prevention. The curved, ramp-like design of the tread blocks on the inner and outer shoulder guides and accelerates the flow of water from the longitudinal grooves into the transverse grooves. 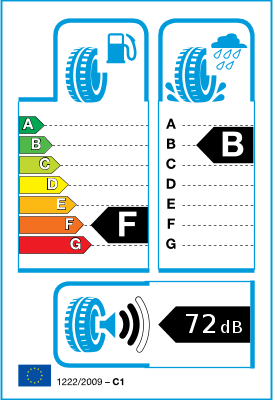 The excellent aquaplaning prevention properties are retained, even as the tyre wears down. Silent Sidewall Technology. More driving comfort. The tailored special rubber compound between the sidewall and tread actively filters the sound and vibration originating from the driving surface, preventing the passage of harmful sound waves that irritate the human ear through the sidewall into the passenger compartment. Special Clinch rubber compound. Optimised durability, lower rolling noise. The rubber compound presses flexibly against the wheel flange, providing the bead area with more durability. The innovation also effectively minimises the interior noise, since it dampens the vibrations from the tyre body, preventing them from passing into the tyre and further inside the vehicle. Polished Grooves. Safety and elegance. The polished longitudinal and lateral grooves facilitatethe removal of snow and slush.